Crazy shots. Buzzer beaters. Record comebacks. Bracket-busting upsets. Cinderella stories. March miracles. And a sassy 98-year-old nun. This year’s wildly exciting NCAA tournament is one that will be talked about for decades. For the first time in the history of the men’s NCAA Tournament, a #1 seed (Virginia) lost in the first round, while the UMBC Retrievers became the first #16 seed in the history of the tournament to defeat a #1 seed. It was Loyola-Chicago, however, that had a Cinderella story for the ages, starting the tournament as a #11 seed and making it all the way to the Final Four. 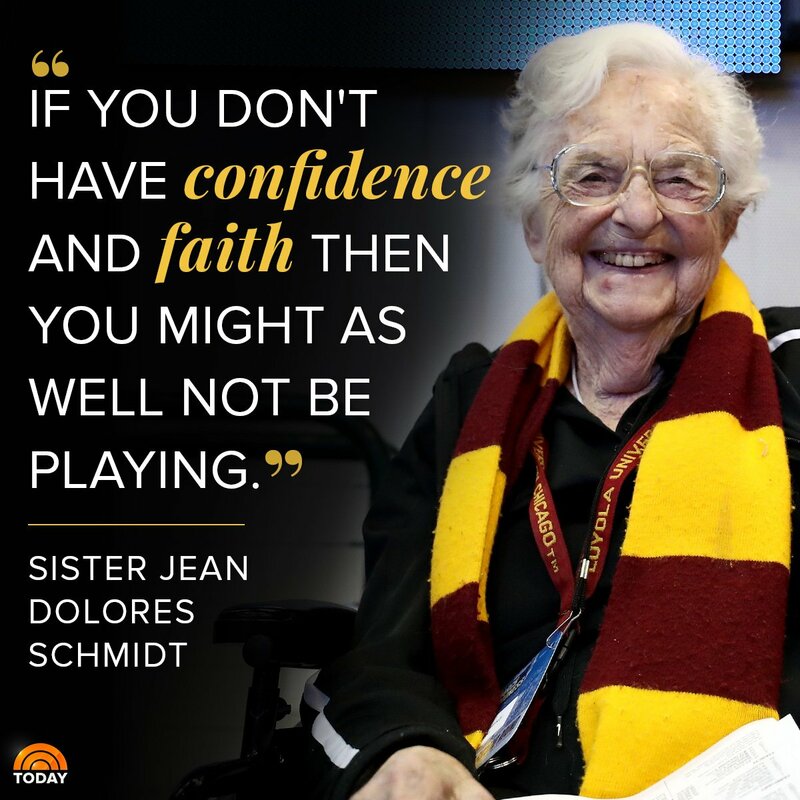 It wasn’t just the talent of the towering basketball players that created momentum for the team; it was also the wit and spirit of their 98-year-old chaplain, a Catholic nun named Sister Jean. Talk about an endorsement for the power of prayer! Although the media reveled in the appeal of her one-liners, there was a bigger lesson behind the white-haired Ramblers fan and her infectious smile. Dubbed a “comfort blanket” by coach Porter Moser, Sister Jean was showing up for her team long before they hit their history-making winning streak. She prayed for the team before every game and sent motivational emails to players. She even provided coach Moser with detailed scouting reports that analyzed each player’s strengths and weaknesses. Perhaps the greatest lesson came from Loyola-Chicago’s graciousness after their Final Four defeat. 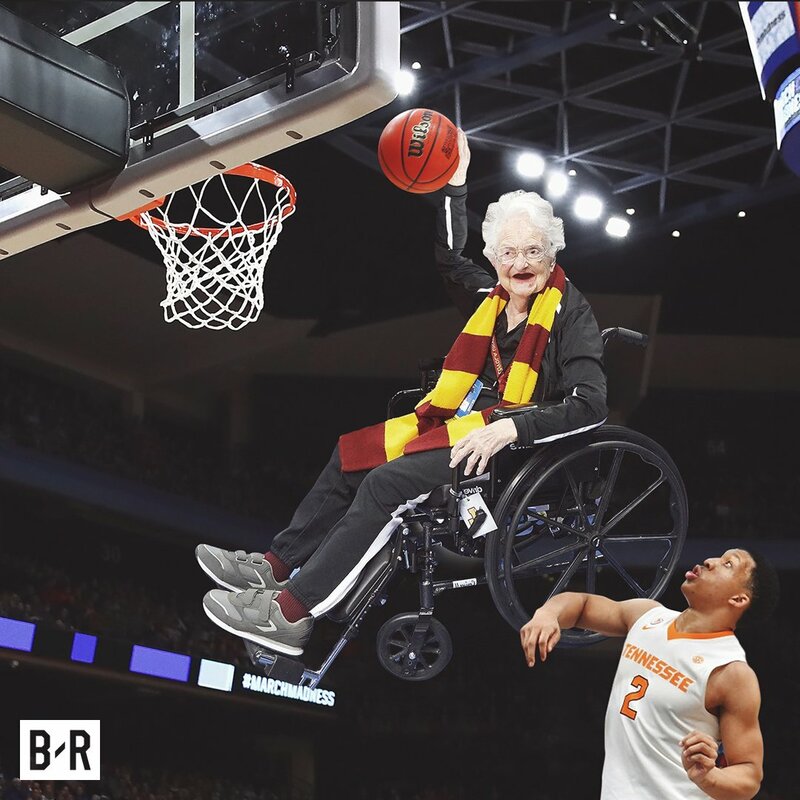 Sister Jean left the game two minutes early. Internet trolls immediately started mocking the nun’s abandonment of her losing team. In truth, this was Sister Jean’s customary routine. She departed early to make her way to the tunnel so she could give each of player a customary post-game hug as they left the court. Even one of the players from the Michigan team that defeated the Ramblers, sought out Sister Jean to offer his respect.